GSO SVD series 8" F/5 Reflector is very high quality telescope on the market. For maximum contrast the secondary mirror spider vanes have been optimized to be as thin as possible without losing stability, it doesn't like many Newtonians have quite thick spider vanes which results in a loss of contrast and image sharpness. 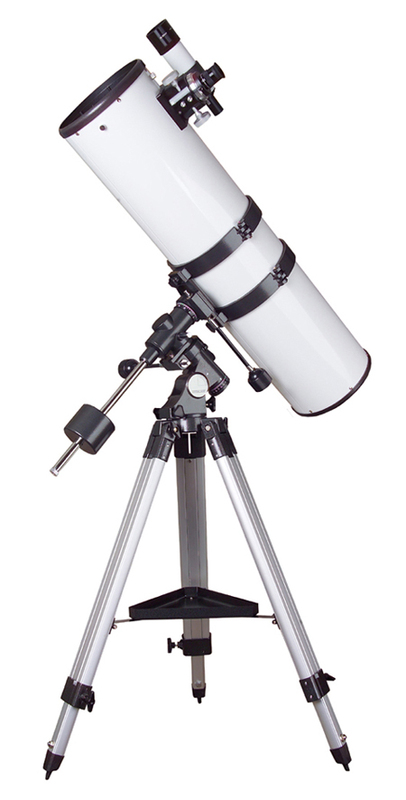 The very precisely figured parabolical primary mirror of this telescope is made by BK7 optical glass that is free of internal stress, thermic properties are generally better than float glass and it housed in a high-ventilation aluminum cell with cooling fan. So, this GSO 200/1000<?xml:namespace prefix = "st1" ns = "urn:schemas-microsoft-com:office:smarttags" />mm Newtonian not only suited for photography and for observing deep sky objects (Galaxies, nebulae, ...), but also for observing the moon and the planets.